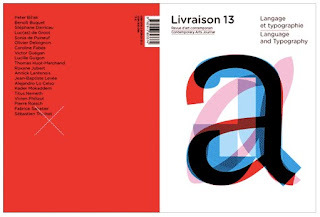 Livraison, a contemporary arts journal, a journal of graphic design, addresses the field of language and typography. Physical matter of writing and of the thought that it materializes, typography is the meeting point of a linguistic content and a visual sign, of an idea and the shape it is given in order to maintain it. 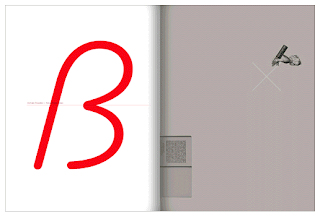 The shape of a letter refers to a culture, a time, and a context. A literary text, a shop sign, a name in the end credits of a movie... the ubiquitous typographic shape changes our perception of information. Typing a word, a sentence or a text, means displacing its meaning; and that meaning escapes its enunciation. Robert Bringhurst reminds us that “typography is to literature what musical performance is to composition: an essential act of interpretation [...]”(1).